A very important part of business communication is “Feedback”. According to Business Dictionary feedback is defined as the “process in which the effect or output of an action is “returned” (or fed-back) to modify the next action. 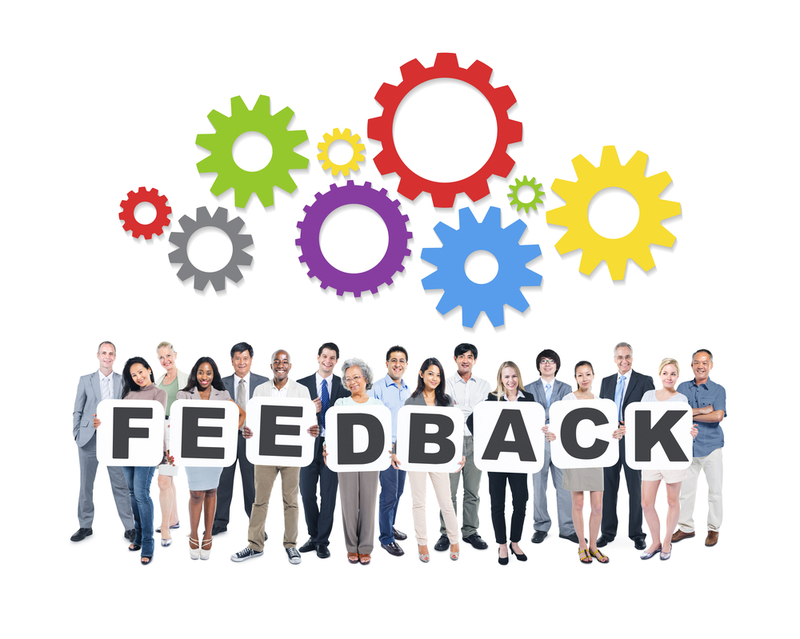 In both business and academic arenas feedback is recognised as a very important part of any effective learning process. How else do your employees receive pointers as to what they are doing well and what they have the opportunity to improve on? Indeed, according to some academic studies (Bellon et al 1991) "feedback is more strongly and consistently related to achievement than any other teaching behaviour". So the lesson from academia is that if you want really good employees that are fully engaged with your company give them frequent, regular feedback. It’s important to recognise that in business feedback happens all of the time not just at quarterly or annual appraisals or specific interviews but every day in almost every conversation. When you're discussing your ideas about how to go about the work or project you have set you assistant a large part of the conversation could be classified as feedback. He gives you his ideas for his approach you discuss them and through the discussion he modifies that approach. Feedback needs to be “Constructive”. “Constructive criticism or feedback is designed to point out where you have made errors or mistakes (or not performed to an optimal level) and then importantly goes on to show you, as an employee, where and how improvements can be made or reach your performance goals. Humour – using humour in the correct manner and at the appropriate time can diffuse any possible conflicts and help ease any tension. Good listening – create silences that allow the employee to speak. Don’t interrupt them. Adapt – adapt your approach and conversation throughout the meeting to what is actually happening in the meeting. Just don’t have a speech and stick to it otherwise the employee won’t feel you are listening to them at all. The old school view of feedback was that it was always a criticism and therefore the whole process was not looked forward to by either party and therefore not properly embraced. The giving of good feedback and the learning to receive feedback well is definitely a life skill that’s worth trying hard to master. Most workforce management software programs make communicating with your staff (about their schedule) instant and easy, which is one of the reasons why it makes sense to use it. At PARiM, we put communication are at the very heart of our workforce management software. The system can be tailored for your preferences so that a lot of the mundane or repetitive communication is automatically done for you, either by email or by SMS. In practical terms this means that you no longer need to worry about that side of work communication and you can stick to focusing on communicating the important issues. Our switch on/ switch off client portal even allows clients to request staff and give feedback on how you as a company and your staff have performed. You can link certificates to sites and even set staff as preferred to particular sites so that you select the right people for the right client’s jobs and therefore give a better service. The client can go in and see the hours worked on his site, approve the timesheet and then there’s no excuse not to pay the invoice! Link this to a system that has its own self service staff portal and everyone is on the SAME PAGE – eliminating miscommunication, misunderstandings and duplications! Feedback from clients is important. See how to make it easy!